A shower back up created a disgusting mess in the basement! Sewage and black mold everywhere, and on top of it, the drywall contained asbestos! 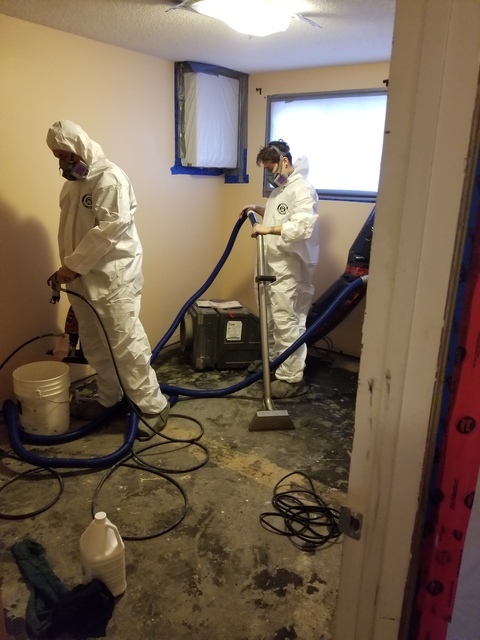 The Amity Environmental team built a containment around the area to ensure no hazardous asbestos fibers or mold spores escaped into the upstairs before starting their work. Demolition and removal of the offending materials was started to complete mold remediation and asbestos abatement before finally cleaning and sanitizing the walls studs and floors. Just 4 days were required end to end, and an Air Quality Clearance certificate was provided to prove that the home was again safe. Safe, friendly, and affordable - Great job Amity Environmental!